Even in the midst of moving I was still able to crank out two recipes for you all!! 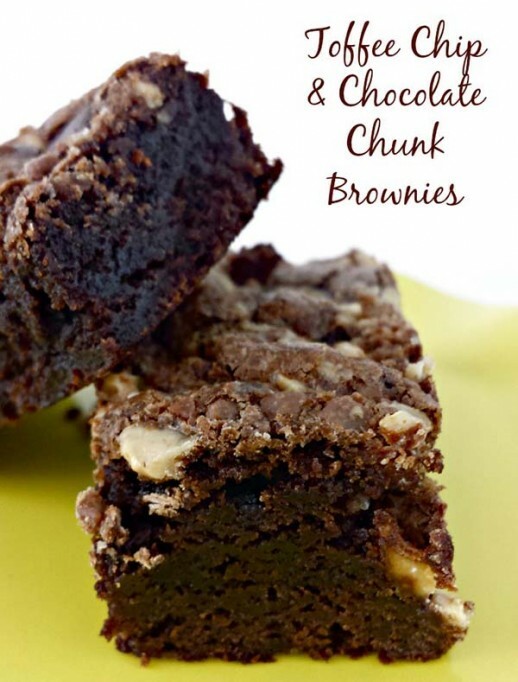 Todat the first recipe is for Toffee Chip Chocolate Chunk Brownies!!! We had a lot of friends show up to help us move so I thought I would make something yummy to say thank you!! 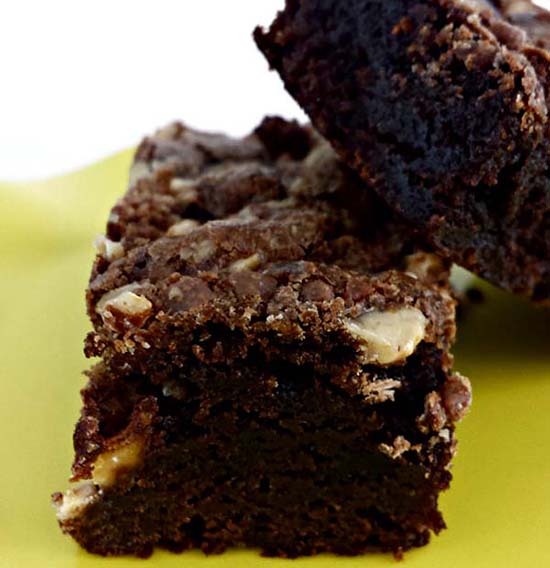 These brownies are packed full of chocolate, toffee candies and nuts!! Make these for your friends and watch how fast they disappear!!! They are moist and dense and fudgy just the way Mr. Pinkcakeplate loves them!! They take just a little bit of extra work but are soooo very worth it!! I have to say this recipe is definitely a winner!!! So go ahead and “Bake someone happy” today!! Preheat the oven to 350-degrees. Line a 9x9 pan with a piece of parchment paper so that the ends fold over the sides of the pan. Spray the parchment paper with cooking spray. Melt the chocolate and butter in a double boiler and stir until smooth. Remove from the heat and beat in the sugar, vanilla and salt. Let the mixture rest while you sift the flour. Beat the eggs into the chocolate mixture, then stir in the flour. Stir in the toffee,chocolate chunks and nuts. Pour the batter out into the prepared pan. These look amazing, Laura! Thank you bunches for linking up and partying with us! Pinning this!